Prayers in Bodhgaya. Social activities. Khorwa Dungtug ritual with H.H. Gyalwa Karmapa for deceased people. H.H. 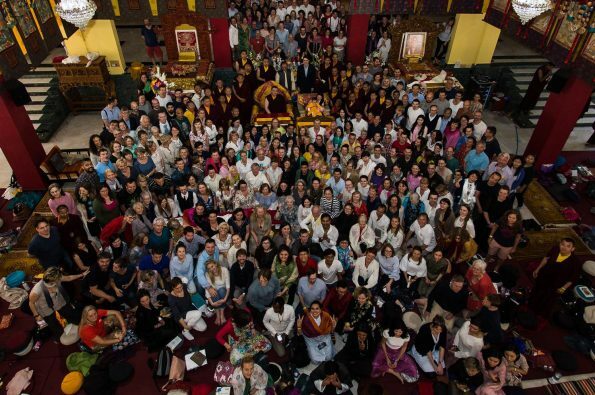 Gyalwa Karmapa blessed the new temple with wonderful thankas in the Kagyu Monastery. After that H.H. Gyalwa Karmapa gave refuge to the tulku of Khenpo Thubten. Photos with Gyalwa Karmapa Kunzig Shamarpa and Jigme Rinpoche.